Out of the Blue Abbeymount Studios is Out of the Blue Arts & Education Trust’s new and exciting creative space in the old Victorian school building at the top of Easter Road. It is a multi-disciplinary facility promoting engagement and innovation in craft and design, as well as providing facilities, opportunities and development for professional designer-makers and the community. Out of the Blue Abbeymount Studios will be the home for art and craft studios as well as weekly classes for beginners and advanced makers and workshop access. Other art forms are also encouraged and we hope to expand the dedicated workshop facilities in the future. The primary aim is to provide diverse facilities and resources which enable professional makers, established and emerging, to nurture and grow their businesses as well as being open to hobbyists and learners. It is estimated that once established Out of the Blue Abbeymount Studios will provide a source of income for over 100 people and have over 1000 people participating or learning their craft, per annum. This facility will become an important part of Edinburgh’s Creative Industry infrastructure, initially operating as studio and workshop space for resident makers and developing to offer its members a flexible space with access to tools, experienced practitioners and courses for professional development. From fashion designers to painters, to furniture makers and beyond, over 30 creative individuals use the building every week to harness their creative abilities. Check out our artist directory to read some of their stories. We are establishing this creative initiative by adapting our highly successful model of sustainable Social Enterprise as seen at the Drill Hall adjusted to provide more direct access to facilities and tools. This project has been made possible with funding from Creative Scotland and Social Investment Scotland and with support from Creative Edinburgh, Craft Scotland, Edinburgh Voluntary Organisations Council and the City of Edinburgh Council. 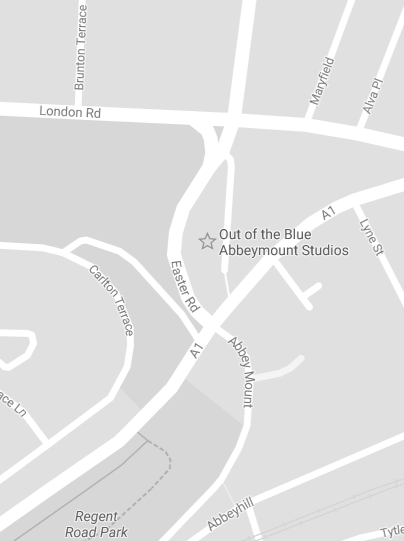 If you’re interested in getting involved with Abbeymount Studios, please sign up for the Out of the Blue Studios Mailing List to receive the latest news and information or Sign up for a class. Our vision is that Edinburgh becomes a creative, participative city in which everyone is able to access the spaces and resources they require to pursue their own creativity, no matter who they are and what form it may take. Our mission is to provide affordable and appropriate spaces, resources, projects and opportunities for the residents of Edinburgh to be creative. We seek to make this diversity of creativity more visible and in doing so, support the creation of cultural, social and economic value within the city. Out of the Blue create jobs and opportunities as a social enterprise financed through trading, investment and loans. 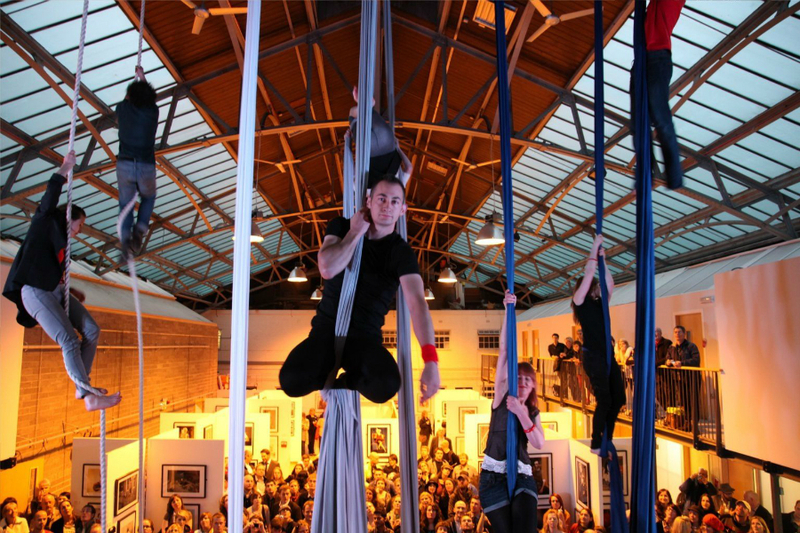 Out of the Blue Arts and Education Trust is a Company Limited by Guarantee with charitable status with two trading subsidiaries, The Bongo Club Ltd and Out of the Blue Productions. For terms, please visit our Legal Information document.